Congratulations to everyone involved in a magnificent Great River Race. Major thanks as usual to Paul King who had all of the hassle for none of the fun, major thanks to the Bosuns and their boat preparing and towing team. Thanks to the Hat of Fairness for selecting four strong and balanced teams. Out of a field of 29 Celtics, Ginger finished second overall, and first Vets, powering through with our amazing cox and stroke combination of Gareth and Fu. Revi Resco finished only 2 minutes behind to clinch second Vets. Red came in 12th, only 10 minutes behind, over a 21 mile race. 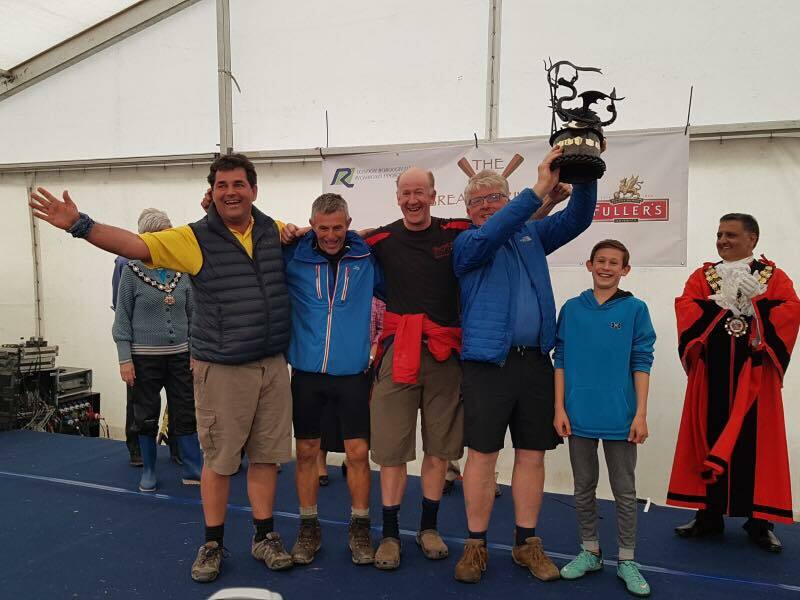 Perhaps most astonishing of all, the annual Pembroke grudge match between SARC and Ynys Mon was won in fine style by Yellow, displacing Ynys Mon from the top position which they had held for nearly 10 years. The raw results don’t do justice to such a great event: Fu’s bar, the Oompah Band, the fancy dress, the flags and the teams from as far away as Romania. Well done SARC, and thank you for a great weekend. I can’t wait for next year.